Organizations defending women's rights filed, Saturday, May 18, at the office of the National Assembly a list of their three delegates to the Independent National Electoral Commission (INEC). This is Jeanne Hortense Nzuzi Tshamba, Grace and Mrs. Lula Amba Tamuzinda. The first two candidates are in Kinshasa while the third is the interior.Of these three names the National Assembly chooses one taking into account gender and regional representation to be part of the CENI. Me Angela Konde Yuya told Radio Okapi how both candidates were elected in Kinshasa:"In the exercise of the vote in the Plenary Meeting of May 16, three candidates were elected to the five names were submitted. The journalist Guylain Chanjabo of Radio Canal Revelation of Bunia was found dead this Friday, May 17 in Ngezi river 5 km from the city center. The people who discovered the body alerted the chief of the neighborhood and the police. A crowd of onlookers in tears was where the body was discovered. The journalist had been missing for twelve days. Informed, relatives and family of Guylain Chanjabo rushed to the place and identified the journalist. "I am abashed of wickedness. We just discovered the decaying body of journalist Guylain Chanjabo we just end up in the river Ngezi. The body is decaying. It is frayed. Swollen face. I brought the doctors. They are adamant that our reporter was strangled, "says Eka Rustic Avo, the assistant commissioner of Ituri. 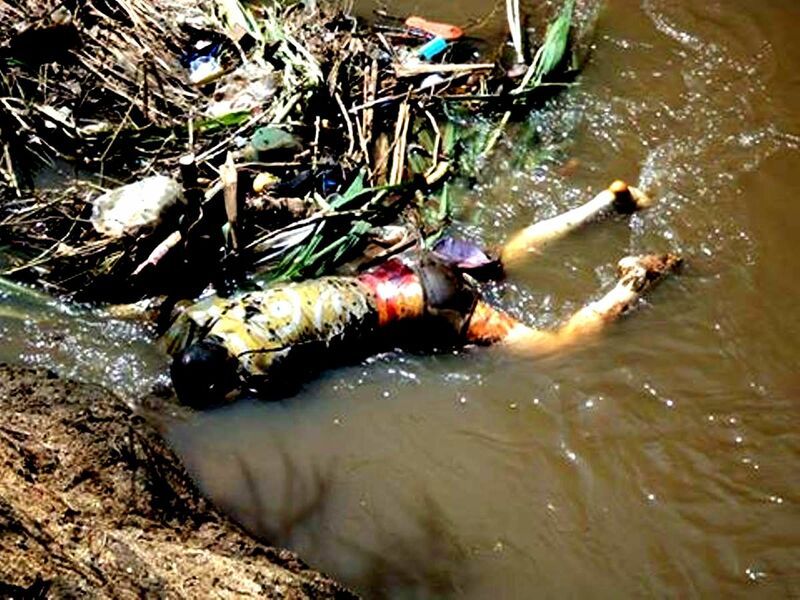 The journalist was buried in a pit near the river. The state of decomposition of the body could not afford to take it further, said members of the Red Cross who were buried. Nicole 15 years. She is a schoolgirl in an institution instead. She was so desperate to learn about their rights. one day, two human rights activists of AFEM came to educate students in her school and she took advantage. Now she knows her rights. This cartoon will be shown to the public on Sunday, April 21. <- More -> It was produced in collaboration with the student members of the Committees for Gender Activists CAG institute Kasali Bukavu. This statement from 26-year-old Pascaline Zamuda is one that touches me deeply. This is a story that took me almost two years to tell — one, because Pascaline moves around so much and our time zones are always so different it is hard to link up, and two, because there are some I fear who will ask, but what does the Democratic Republic of Congo have to do with Barbados? The answer is, nothing; yet everything, in this globalised environment in which we now live. fellowship at the United Nations. We met face to face in September 2011 when we were both a part of the programme and then we spent a short time as roommates in Washington during that same fellowship. When these soldiers, politicians and international agencies find common negotiating ground, she said then there is “relative calm”, but it is still a region considered for humanitarian and other assistance by the international community. An NGO called Search for Common Ground started a programme called Giving Voice to Congolese Children, in an attempt to denounce the human rights violations of children during conflict. They used the media to get children to open up about what was happening, and Pascaline was recruited through her school and trained as a reporter. She was also further educated about human rights and children’s rights. Lawyer and activist of human rights. "I have to rise on feb 14 up the following conditions under which victims of sexual violence live. We signed texts that give the International Criminal Court warrant and the right to intervene in the DRC. And yet it has a fund for compensation or better reparation for victims of sexual violence in the DRC but they do not benefit. The irony is that when there is a judgment there are no more often the perpetrators have no means to compensate the victim. " "I must rise on feb 14 after all those who still say that it is women who want to be raped. it is a vice and as long as there are these kinds of fantasies I will rise." 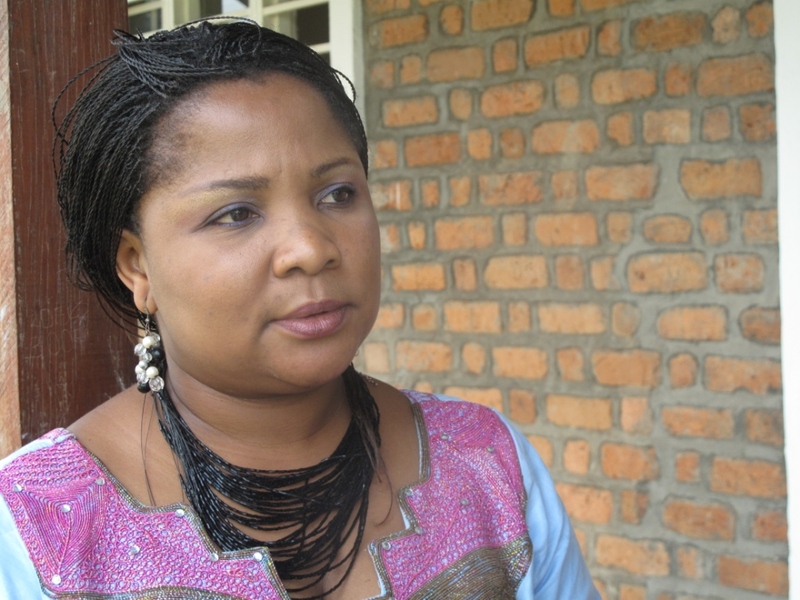 "I must rise on feb 14 due to poor living conditions of military vulnerabilities in South Kivu. Majority of these families, especially military and police officers no longer live enmity. Their children never go to the school. Just for all that I have to rise! "A billion abused women in the world is an atrocity" a slogan that has been fixed since the beginning of the campaign "One Billion Rising" movement VDAY. VDay movement is convinced that on February 14 this year, at least one million men and women will be present at this event. Evidence on different types of violence experienced by women will be given by the participants and volunteers eager to say NO to violence. 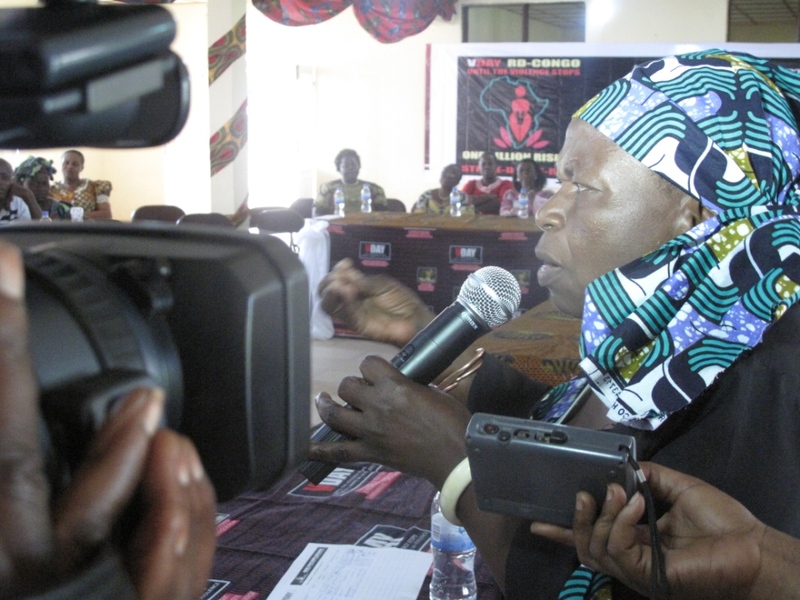 On 23 January, the VDay movement recently held a conference to debate the city of joy to Panzi. Participants exchanged on why say NO to violence in many place of women. 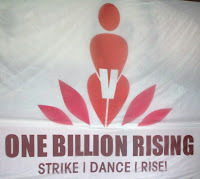 One billion Rising campaign started months ago in several countries of the world. Men and women who fight for women's dignity protest against this evil that eats the entire society. February 14 is the deadline. Stage of Kamagema panzi in Bukavu will drop point where one billion people are expected. As a prelude to the 14th February, the men and women present at the conference on 23 January were expressed and explained why they too will revolt. 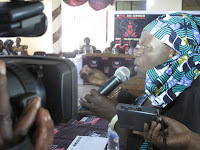 Some were comfortable giving their testimonies about different types of violence experienced by women and the other could not restrain their anger. A report published by the United Nations says one in three women will be abused in the world. 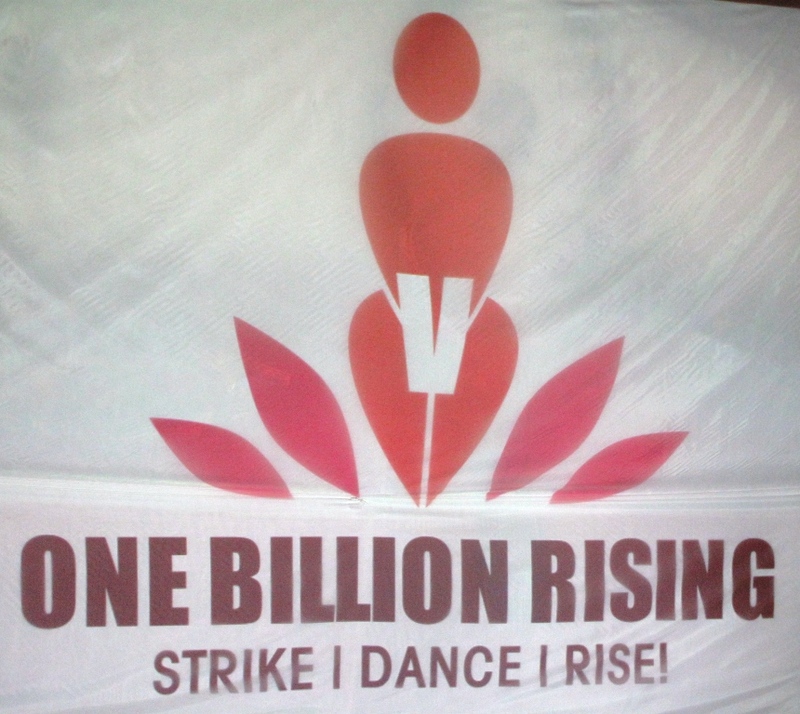 February 14, 2013, Grever, and Dancing in revolt; 3 main activities that are scheduled for this day to mark the fall of the campaign "One Billion Rising". This is an assurance that more than one billion women and men will rise up throughout the world to say "Enough is Too" that violence against women and girls quit. One month prior to this campaign, movement VDAY just held a press conference Tuesday, January 15. drop point of the campaign will take place on February 14. The theme: "Ending violence against women and girls"
Christine Schuler Descryver describes the current situation of violations of women worldwide. For VDAY, 1 in 3 women will be abused in her lifetime on this planet. By refusing to be observant of this scourge and this dehumanizing crime, VDAY lance through the "One Billion Rising" call for mobilization, solidarity and unity power to show the world the collective strength and unity. February 14, VDAY hope that a million men and women will observe one-day strike by abandoning their ordinary activities to express their ras-le-bol violence against women. They will denounce the injustices committed against them to revolutionize attitudes. 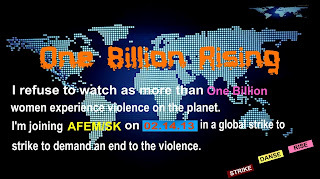 VDAY wants everyone agrees to actively participate in this event must shake the world to a new consciousness. L’Association des Femmes des Médias du Sud Kivu (AFEM-SK) est une organisation à but non lucratif (OBNL) créée en vertu de la loi congolaise du 10 Août 2003. Les membres d’AFEM-SK sont composés de femmes actives dans les médias du Sud-Kivu et les maisons de presse. AFEM-SK est spécialisée dans la production des émissions radio en milieu rurale comme en milieu urbain avec un accent particulier sur les femmes soit à partir de radio-clubs ou dans la position de l'activiste social local. Ce groupe produit également des reportages sur le terrain et envoie des nouvelles à des stations de radio locales. Cette association entretient avec les organisations de presse d'autres partenariats qui facilitent la circulation de magazines et leur diffusion. - "Institutional support and media coverage of the activities of V-DAY"
- "Training and professionalism of women journalists" with the support of NED "National Endowment for Democracy" from March 2010 to February 2011. - "Reports on gender, good governance and sexual violence in the territories of Kalehe, Uvira and Walungu" with financial support from NCA (Norwegian Church Aid) from May to October 2008. - "Awareness campaign on the fight against sexual violence in the media" with the support of CORDAID. 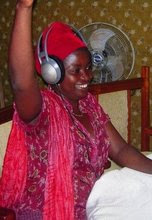 - "Producing radio within 16 days of activism to fight against sexual violence" with the support of the organization TROCAIRE in December 2007. 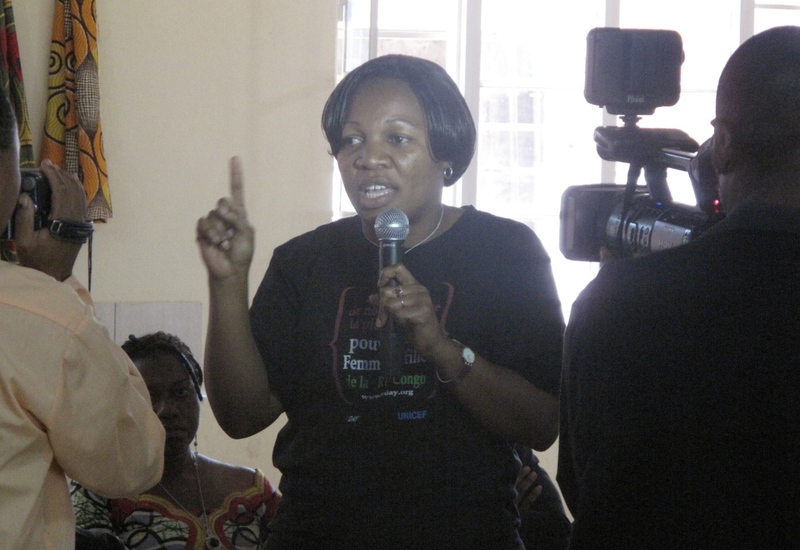 - "Exchange of experience of women in the media in Rwanda and DR Congo" with the support of LOLA MORA organization, 2007. R.Maendeleo Tuesday at 20:30 and Saturday 9:00 p.m.
Radio Star Monday 1:15 p.m., Thursday 5:30 p.m.
Radio Neno la Uzima Wednesday 7:45 p.m.
To work for women's and Congolese women's advancement through available media outlets. To inform women of their rights and the mechanisms in place to protect those rights. To encourage women's freedom of expression.To fight for equal rights between men and women. To fight for quantitative and qualitative gender parity in organizations and in all areas of public life. To facilitate women's involvement in good governance and the brokering of lasting peace. To support activities for women's development by helping them with communication and access to available media outlets. To fight against all forms of sexual violence through the media. To promote peace through the media. 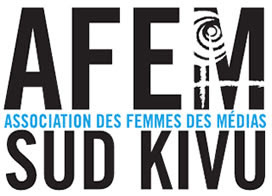 South Kivu Women's Media Association (AFEM-SK) is a nonprofit organization created under Congolese law on August 10, 2003. 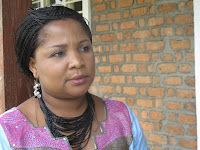 AFEM-SK members are composed of women active in South Kivu's media and news organizations, with 42 registered members. AFEM-SK specializes in the production of rural and urban radio shows with a major focus on women, drawing on radio clubs and local activists as a base. This group also produces news reports from the field and sends news back to local radio stations. -Professionalism for female journalists, though training (short sessions or in-depth training thanks to a fellowship program) and through exchanges and networking with foreign media. -To put in place a network for female journalists on the regional and national level ; To create a similar network for female journalists in other provinces. -To offer news services (organizing conferences, editing articles and providing media coverage) to NGOs and partner media companies. -The creation of a news outlet in Bukavu, South Kivu Province. - The installation of a professional recording and editing studio for radio shows. -The launch of a women's news magazine. T-shirts to support AFEM are available in Washington D.C. or New York. Price: $40. Please contact Chrisse Lam at chrissielamchop@gmail.com to place an order. 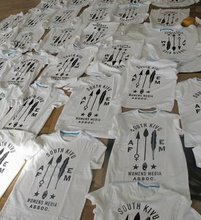 Chrissie Lam, founder of Create for a Cause, collaborated with designer, Deena Suh to design and print t-shirts ahead of Chouchou Namegabe's first visit to the United States in March 2009. T-Shirts were donated by American Eagle Outfitters. What can your purchase achieve? Sales have raised over $1000, equipping AFEM with full radio equipment for three reporters, as well as several hard drives and a digital camera.